Now, how does this relate to teaching and learning? Chickering and Gamson (1987), in their often-cited paper which outlines seven principles for good practice in undergraduate education, say that we should encourage interaction, reciprocity, and cooperation among students. Do you see the obvious link? What an opportunity! 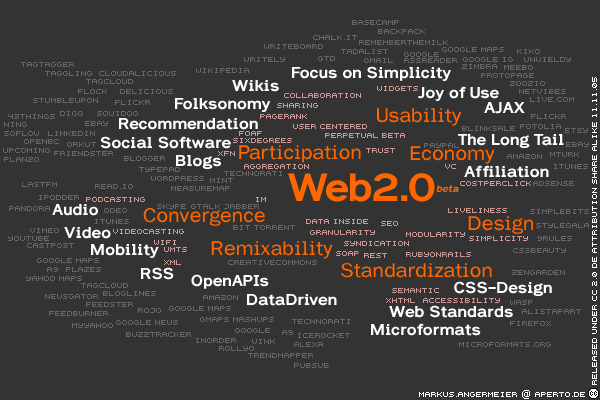 Which Web 2.0 tools should/do we use to connect our students? What's stopping us from doing so? Wag, the questions you are asking will shape the future of our education. As a business student in Canada, many of our profs are putting an emphasis on interaction by allocating participation marks. However, the really flaw there is that what it encourages is quantity rather than quality of comments. What I would love to see in the future is one topic (picked by the prof ahead of time) that will be discussed in the comment section of the prof's blog. That in my opinion would encourage more quality talk and a little reflection behind everyone's commentary. Hey Morgan - thanks for the comment. Yes, I agree... "participation marks" shouldn't be the main incentive for participation. A genuine interest in, and passion for, the subject (and learning process) should drive interaction in education. As you suggest, there are many Web 2.0 tools that can/should be used to assist this process. P.S. Good to see you engaging in the conversation with some of my student bloggers, too. Keep it up!